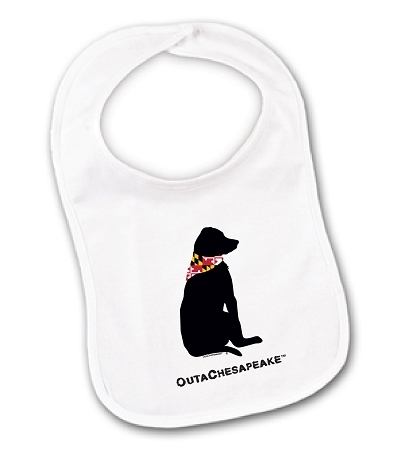 Everyone loves this Outa Chesapeake™ dog! Showcase the dog on your favorite baby! Terry bib with snap closure.